And they destroy the communities they are poured into — which, of course, aren’t the communities of the elitist virtue-signaling whites who push for open borders. The title is such a Captain Obvious kind of economic statement, founded on the simple and timeless impact of the law of supply and demand, that it should go without saying. But because Leftists literally fail at basic economic concepts and throw low economic status minorities under the bus to pander to illegal aliens, it needs to be repeated over and over. The Left pretends that the only jobs that illegal aliens take are those of picking crops and such (as if that would justify them breaking the law). But here’s a recent example that I heard about in detail from an accounting executive of a company in the U.S. (I’m not being overly specific here because of confidentiality issues). The company was understandably desperate to fulfill their customer orders, so they went to the market to replace the employees. When they did so they realized that they had to pay fifty percent more in wages. Fifty percent! The remaining employees who were citizens got a huge raise. The new employees got market wages. These jobs were ideal for those without college educations or formal training. They require some skill, but it can be learned on the job. Illegal aliens took jobs of U.S. citizens, because they were willing to work for so much less. Illegal aliens significantly suppressed the wages of the remaining jobs, because they were willing to work for so much less. Law enforcement works! What a concept, eh? We still need a wall and/or much better border control, like any sane country would have. But in the mean time merely enforcing some of our existing laws has a huge benefit for our citizens. If companies know they’ll get caught and fined they won’t hire illegal alien labor to begin with. And the honest companies won’t be at a competitive disadvantage for doing the right thing. Getting citizens off unemployment / welfare reduces the burden on society and has more people paying into the system. The Left — including the “Christian” Left — pretends to care about low income blacks while acting against their best interests 24×7. They pander to illegals to get votes so they can stay in power and reap the benefits of crony capitalism, but that means the low income minorities stay on the Democrats’ plantation. Obama & Co. pretended to care about blacks, but what did they have to show for it after 8 years besides higher unemployment, destroyed towns like Ferguson and the worst race relations in half a century? The Left has to constantly play the race card on Trump because he is actually helping blacks get jobs. This doesn’t even include the huge tax burden of millions of illegal aliens consuming educational, welfare and other resources. It doesn’t include how many jobs are now unattainable for blacks because they require bi-lingual skills. When the “Christian” Left tries to claim that Jesus was an illegal alien, remind them that their claim is historically false, we don’t live in an Israelite theocracy, and people who repeat that nonsense to promote open borders just for the U.S. are some combination of ignorance, malice and treason. The working poor – which have a disproportionate amount of minorities – are already benefiting by the reduction of illegal aliens entering the country. And, ironically, they have President Trump to thank for it. 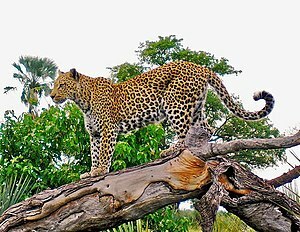 Many Christians teach Leopard Theology*, because they believe that the Bible is only inspired in spots and that they are inspired to spot the spots. They don’t call it that, but that is exactly what their theology is founded upon. And, like the leopard, they camouflage themselves and they are dangerous predators. They take on church leadership roles even though they teach the opposite of the Bible. Saying the Bible isn’t fully inspired by God may seem like a humble premise, but it actually makes several strong and unfounded claims. It implies that God couldn’t or wouldn’t deliver His word to us in a reliable way, and that despite God’s alleged failings flawed humans are able to discern which parts were inspired and which parts were not. Are we to believe that humans are to correct for God’s errors? Why is this a serious problem? It is hard enough to follow the teachings of the Bible without having “Christians” choose what “really” came from God. Worse yet, they ignore some parts of scripture so they can teach that the opposite is not only acceptable but desirable. Some may do it accidentally or out of laziness but others are just blatant false teachers. They have made up their own god and their own religion. How did they come to this conclusion? Do they think their favorite verses are inspired? If so, how do they know? How about John 3:16? How about “love your neighbor?” Whenever “Judge not, lest ye be judged” is quoted, I never hear the liberal theologians question whether Jesus really said that. If the Bible is only partly inspired, how can they be sure that their preferred verses aren’t the ones that are uninspired and the ones they don’t like are the “real” verses? Why is it that God couldn’t inspire the original writings of forty writers, but He can inspire billions of people to properly determine which parts are right and which aren’t? If He couldn’t get Paul, Luke, Matthew, John, etc. to record his word accurately, how can He get you to do it? Then there is Advanced Leopard Theology. It is just like basic Leopard Theology, except God is also changing spots and adding or removing spots, and, oddly enough, He is only telling theological liberals and progressives. They use phrases such as “God is still speaking,” but they don’t mean He still speaks through his Word (that would be a true statement). They think He is still revealing new truths to the church and changing doctrines taught in the Bible. They may also say things like, “The Holy Spirit is moving in a new direction.” Indeed. The visions were clear and emphatic. Peter was given the vision three times and the incident is mentioned twice. Peter was inclined to reject the meaning of the vision, whereas these Advanced Leopard Theologians have views on human sexuality that are virtually indistinguishable from the prevailing culture and they are glad to accept this allegedly new revelation. There was external validation for Peter from the Roman centurion, which also included a supernatural intervention. The “God has changed his mind view” is primarily being “revealed” to theologically liberal Christians in the U.S. . . . the very ones who often deny the authority of his Word to begin with! So we can’t trust the accurate transmission of the original writings but we can trust their new revelations? I’m skeptical. But the orthodox can fall prey to this in a more subtle way by claiming full inspiration but conveniently ignoring passages we don’t like. Consider this passage on church leadership, where some exaggerate “not given to drunkenness” to mean no alcohol whatsoever but ignore the “must manage his own family well . . .” part. 1 Timothy 3:2-4 Now the overseer must be above reproach, the husband of but one wife, temperate, self-controlled, respectable, hospitable, able to teach, not given to drunkenness, not violent but gentle, not quarrelsome, not a lover of money. He must manage his own family well and see that his children obey him with proper respect. Another example is correctly teaching about the sin of homosexual behavior while neglecting to give proper emphasis to Biblical admonitions against divorce, adultery and fornication. We need to teach all of scripture with balance. Grandstanding on sins that aren’t temptations to us and soft-pedaling those that are are not attractive or Christian things to do. There are plenty of reasons and resources to defend the accuracy and integrity of all of the original scriptures. We don’t need to get sloppy and just follow the parts we like. And we truly miss out when we cast doubts on every passage and question if it is really the word of God. I’ll close with some friendly advice: Don’t mess with God’s Word. Proverbs 30:5–6 Every word of God proves true; he is a shield to those who take refuge in him. Do not add to his words, lest he rebuke you and you be found a liar. Revelation 22:18–19 I warn everyone who hears the words of the prophecy of this book: if anyone adds to them, God will add to him the plagues described in this book, and if anyone takes away from the words of the book of this prophecy, God will take away his share in the tree of life and in the holy city, which are described in this book. *Also known as Dalmatian Theology. How many translations did your Bible go through? The Left hates Trump with the heat of 1,000 suns and the media’s 90+% negative — and often false — reporting will continue to take a toll on Republicans. But the tax cuts and tax simplification will help. Things like this will sway a lot of middle ground people right away: Taxpayers Could See Benefits From GOP Tax Bill as Early as February. And while they won’t admit it, the Leftists will secretly enjoy having their taxes cut even as they scream, “Oh, the humanity,” over the government letting 80% of the population keep more of what they’ve earned. Oh, they won’t vote for Trump, but they will soften. Back in the late 80’s or early 90’s I recall reading Kareem Abdul-Jabbar’s comments on Ronald Reagan. He basically said that while he disagreed with him on many things, he sure appreciated the tax cuts. I think you’ll see a lot of that in 2018. Hopefully the people who continue to gain employment will realize it wasn’t because of the Democrats. The fact that zero Democrats voted for the bill will make a great soundbite for the GOP. And you’d like to think that those liberated from the Obamacare mandate will be influenced by that change. The Republicans didn’t “repeal and replace,” but they got rid of one of the most odious parts of Obamacare. They can run on that and out the RINOs who only voted against Obamacare when they knew Obama would veto it. Of course, the institutional Left — including the “Christian” Left — will continue to cry Russia/racism/harassment against the President while they hypocritically are the drivers of all three. The tax bill: Could have been better, but it is still great. Really great. I’m so glad to see the tax bill. This appears to be the final version. I was at a meeting with our auditors (a Big 4 firm) last week and got to hear from their chief economist, a tax partner and a former U.S. Representative. They had similar takes on how this will play out. Here are my thoughts as a finance executive / CPA who has spent a “little” time on analyses that determined what country would build certain products. The best thing is the corporate rate reduction from 35% to 21%. I wish it would have been 20%, even just for optics, but the improvement is huge. I know that alone will bring a lot of jobs back to the U.S. It is so simple that even Leftists should understand it – but either won’t, because they fail at basic economics, or will understand it but will lie about it because they know it will help minorities and the poor. Here’s an example: Assume that you live near the border of two states and you are going to open a manufacturing plant, and all other things are equal (e.g., labor market, accessibility, etc.) except that one state has a tax rate of 35% and the other a rate of 21%. Guess where even a Leftist will build his plant? (There is a reason that people like John Kerry put their yachts in one state versus another, why people in North Carolina living near the border of South Carolina drive a few extra miles to buy gas, etc.). Now simply expand that to countries. You are much more likely to build in the U.S. now because of the lower rate. That means more jobs for minorities / the poor. And those people will pay taxes instead of collecting unemployment and welfare. We’ll get a big double benefit. It repeals the Individual Mandate of Obamacare! I would have preferred a full repeal, but it is a big accomplishment and the Republicans can campaign on fulfilling part of their promise. The marginal rates are down a bit across the board, which should help everyone. The cap on state and local deductions will cost me and I don’t like the idea of having to pay federal taxes on the same income I used to pay state and local taxes. But that might put downward pressure on home prices in, say, California (shouldn’t Leftists like that?) and might make the state and local taxes hard to foist on people. The Left should like the limitation on the deduction of mortgage interest, but Senator Diane Feinstein was already grumbling about it. Uh, what happened to their desire to soak the rich? At least it only applies to new mortgages. Estate taxes should have gone to zero. They are ghoulish. What fool would want the government to profit when you die? Oh, right, the ones who favor estate taxes tend to be the people who profit when families are forced to sell businesses (e.g., Warren Buffet, who isn’t as generous as he makes himself out to be) and those who covet the success and wealth of others. While the tax code will still be too complicated, it will definitely be simpler for countless people. That’s a huge win. Congress will have less money to pay off their sexual assault victims. And for dessert, consider how much this will hurt the Democrats. Not one of them will have voted for it, yet it will have a dramatic positive impact on the country. So many new jobs! More after-tax pay for countless people! And all thanks to Donald Trump and the Republicans. Just think of how much mileage he’ll get from pointing out how many minorities got jobs! Who is better at economics, Leftists or my dogs? And which group, Leftists or conservatives, truly has the best interests of the poor at heart? Are they qualified to opine on economic matters? Even if they were qualified to understand basic economic concepts, do they really want conservatives — and the poor! – to be successful? I’ll answer the second question first: No. They hate Trump and conservatives with the heat of a thousand suns and they have shown no reason to believe that they actually want to help the poor. They could tell just by the stock market reaction just how successful this will be. Just one example: Having a sale on taxes, so to speak, and letting corporations bring back literally trillions of dollars in profits at much lower tax rates means that we’ll reap billions in taxes that we never would have received otherwise, and that the money will be invested in the U.S. That means lots of tax $$ and lots of jobs. What’s not to like – unless you are an America-hating Leftist? And if they really wanted to help poor blacks, for example, they’d stop their open borders policies which allow illegals to take jobs and suppress the wages of remaining jobs. They have had monopolies on education, politics, media and entertainment in inner cities for half a century and yet things keep getting worse for those residents. The Left knows they’ll lose power, influence and votes when the tax changes actually help the poor and middle class, so why would they want that? And before you accuse me of being cynical, keep in mind that the people most likely to cite the Matthew 25 “least of these” passage out of context aggressively advocate for taxpayer-funded abortions to the child’s first breath. Because compassion. And giving. And patriarchy. And Molech. And did you notice how Nancy Pelosi, Cokie Roberts and other political and media Leftists have helped cover up sexual predators for decades while insisting that conservatives were waging a war on women? Why would anyone trust them on anything? So the answer to the second question is a resounding no. And to answer the first question: Also no. Here’s one of my all-time favorite posts explaining why. Note: The message here is more important than the title indicates. I’ll eventually share how Leftists literally fail at basic economic concepts and how that has enormous implications for every aspect of society. I am not making this up: My dog once submitted a college test in Economics and passed. OK, there is a little more to the story. When my youngest daughter home-schooled her last two years of high school, the dogs would hang out with her all day. Once when she was in the middle of an online Economics test one of them jumped on the bed, landed on the keyboard and submitted the partially completed test. And he passed! Fortunately, the folks at the school were good sports about the high-tech version of “the dog really ate my homework” story and re-opened the system so the that real student could complete the test (she got her usual 99% or so). Got that? Progressives / very Liberal people only get a third of the questions right. They could double their scores and still only get a D. But the more conservative people are the better they do, with very Conservative people achieving a solid B. Consider one of the economic propositions in the December 2008 poll: “Restrictions on housing development make housing less affordable.” People were asked if they: 1) strongly agree; 2) somewhat agree; 3) somewhat disagree; 4) strongly disagree; 5) are not sure. Basic economics acknowledges that whatever redeeming features a restriction may have, it increases the cost of production and exchange, making goods and services less affordable. There may be exceptions to the general case, but they would be atypical. In this case, percentage of conservatives answering incorrectly was 22.3%, very conservatives 17.6% and libertarians 15.7%. But the percentage of progressive/very liberals answering incorrectly was 67.6% and liberals 60.1%. The pattern was not an anomaly. To recap that example, 2/3 of Leftists don’t know that restrictions — regardless of their merit — always increase costs. How can they possibly make wise economic decisions? Understanding these basic economics concepts is crucial to leading properly. Therefore, Leftists should not be in charge of government. Or economics. Or much of anything else. If you can’t get the basic building blocks of society right then all you will do is create more problems. As the good folks at Freaknomics will tell you, Economics isn’t just about seemingly arcane financial metrics. It is about behavior and incentives. If you don’t understand how the basics of human nature work then your worldview is doomed to poor decision making. The Law of Unintended Consequences will bite you far worse than my dog ever would (Italian Greyhounds are amazingly friendly) but the truth is that most consequences of Leftist policies are easy to anticipate. The “War on Poverty” is a perfect example. It wasn’t just a colossal flop, it was a completely predictable colossal flop. It has deeply harmed tens of millions of people. We need to undo it as quickly as possible. Leftists don’t realize or ignore that you get more of whatever you subsidize. They subsidized single motherhood and got lots more of it, with the inescapable crime and poverty that comes with it. This issue carries over to religion as well. It is no surprise that Leftist Christian groups do much more harm than good. False teachers don’t understand economics any better than they do the Bible. All schools should host Junior Achievement classes. These are proven to increase graduation rates and they teach critical life skills about budgeting, economics and more. I taught them for 12 years and was continually impressed with their program. You don’t need a PhD in Economics to understand the most important concepts. Give me 30 minutes with a bunch of 7th graders and I will have them more fluent in basic economic principles like supply and demand than Congressional Democrats are. And that isn’t an exaggeration. The way people understand basic economic principles has an enormous influence on how well they will govern. You should vote accordingly. And if you love God and neighbor you won’t ignore how He wired the world. Economist Dog (TM), the hero of this story, could not be reached for comment. 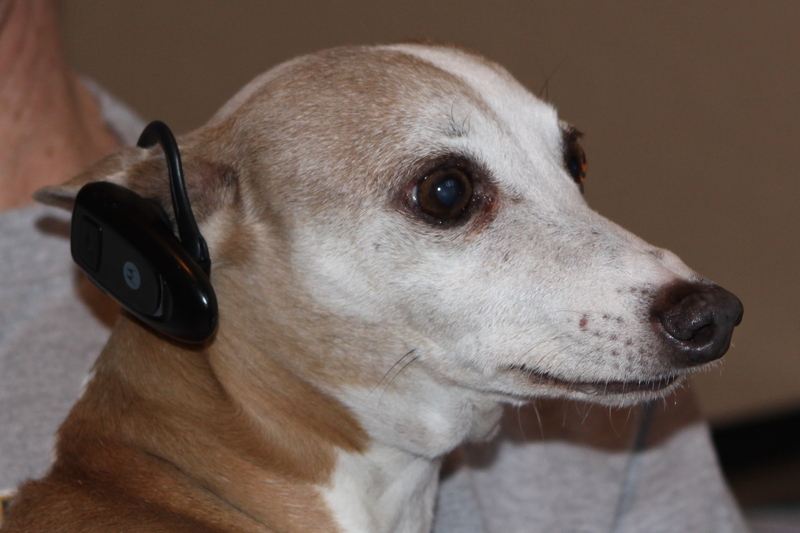 He was on a conference call discussing how the demand for dog food is completely inelastic. Also, he died last year. We miss this special little guy! He and his mate (pictured below) brought us countless blessings and good times and we thank God for that. He also understood intellectual property rights and helped us earn a few $$ when this picture was used on a t-shirt sold by a large retailer. But mostly he just chased squirrels and then sat on my lap and slept. Backup Dog (TM) was equally loved but not quite as active. She was as cerebral as she looks here.